It was a year marked by out-of-box thinking, boldness of vision and energetic execution, which has reignited the ‘India Story’. In the process, India proved itself to be a major player in shaping evolving debates across issues, ranging from global governance reforms and climate change to trans-national terrorism and cyber security. The neighbourhood continued to be the primary focus of attention as a historic agreement with Bangladesh was completed, and India rushed to assist Nepal after a devastating earthquake. The Afghan President came calling, while relations with Sri Lanka received new impetus. 2015 was a milestone in Indian diplomacy in reinvigorating India’s ties with all P5 powers, with Prime Minister Narendra Modi visiting the US, China, France, Britain and Russia, paving the way for marked acceleration of multi-faceted relations with all these countries. It was also a year in which India’s multi-hued engagement with crucial regions of the world, including Africa, West Asia, Central Asia and South-East Asia acquired a new vitality and a long-term vision, opening new vistas for mutually empowering cooperation. The Third India-Africa Forum Summit rejuvenated old historical and cultural ties between the two growth poles of the world and placed the special partnership at the heart of an evolving world order. India’s summit with Pacific Island states signaled a new thrust in India’s diplomacy, which entails taking major powers as well as small and significant states together in the pursuit of common goals and shared interests. Relationships with multilateral groupings such as BRICS, G-20 & Commonwealth were strengthened. The last twelve months also saw India celebrating and bolstering its connections with the 25-million strong Indian diaspora spread across hemispheres, through a host of new initiatives. Insofar as foreign policy aims to create the environment for domestic growth and prosperity, even while it seeks to raise the country’s global stature, the list of achievements in 2015 is significant. Beyond the photo-ops, visits and agreements, a wide range of possibilities has been translated into tangible outcomes. On the economic front, the sentiments for private investment and inflow of foreign investment have turned positive. FDI inflows have also gone up by 40% in this year alone. Much of India’s foreign policy outreach has been driven by the need to translate partnerships into benefits for key domestic initiatives such as Make in India, Skill India and Digital India, and agreements with key countries have reflected this requirement. The Make in India initiative, for instance, has received a tremendous response, with some foreign countries allocating specific funds towards creation of manufacturing hubs in India. The recent agreements with Japan, for instance, outline a partnership in a large number projects cutting across sectors, including the high profile bullet train project between Mumbai and Ahmedabad. The Skill India project has found resonance with countries such as Germany, Singapore, South Korea and Japan willing to offer their expertise to benefit India’s growing workforce. Similar has been the case for the Smart Cities initiative and Ganga Rejuvenation. In a landmark visit to California, the Prime Minister’s pitch for a Digital India that would transform access to technology for the majority of the population received an enthusiastic response by leading technology and social media companies. By opening India’s doors to the best of foreign expertise and leveraging partnerships for common benefit, Indian diplomacy seeks to take the goal of foreign policy for domestic transformation for the common man further than ever before. India’s growth story this last year has been noticed amongst financial institutions and organizations. The country has been recently ranked as the most attractive investment destinations by Ernst & Young. In a ranking of the top greenfield investment destinations in the first half of 2015, India is at number one. Foreign Policy magazine of the US has also ranked India as number one FDI destination. India has improved its UNCTAD ranking of investment attractiveness from 15th to 9th, moved up 12 ranks in the World Bank’s Ease of Doing Business report of 2016, and jumped 16 places on the World Economic Forum’s global competitive index. Projecting the changes underway in India abroad has been a key focus of our diplomacy. Building upon Prime Minister Modi’s path-breaking initiative of inviting all SAARC leaders to his swearing-in ceremony last year, Indiacontinued to reach out proactively to its immediate neighbours in South Asia for a sustained engagement. Transformational Diplomacy acquired a new resonance with the Prime Ministerial visit to Bangladesh in June that saw the exchange of instruments of ratification of the landmark land boundary agreement. It was literally ushering in a new dawn for thousands of people living on tiny islands of land as India and Bangladesh swapped enclaves, bringing to an end their 68-year-old boundary dispute. The formal swapping of enclaves has brought a new life of hope and dignity for around 51,000 people living in 162 enclaves across both countries, and underlined possibilities of how diplomacy can provide a new direction to the lives of ordinary people. The June 6-7 visit of PM Modi also saw India-Bangladesh developmental cooperation scaling new heights, with India pledging a $2 billion Line of Credit for Bangladesh, the largest single LOC for any country committed by India. The $2 billion LOC has raised the bar for India’s engagement with Bangladesh and is set to bring the two neighbours in a web of trade, connectivity and shared prosperity. Projecting a narrative of interlinked destinies, the two countries took a host of steps to enhance connectivity, including the launch of two new bus services. The two countries are a part of the sub-regional cooperation between Bangladesh, Bhutan, India and Nepal to enhance connectivity and regional integration. Similarly, India’s relations with Sri Lanka scaled new frontiers with a spate of two-way visits by the leaders and foreign ministers of the two countries, within months of the newly-elected Sri Lanka President Maithripala Sirisena taking charge of the island nation. During PM Modi’s visit to Sri Lanka in March, India pledged $318 million Line of Credit for railway upgradation (New Delhi’s development assistance is already about $1.6 billion), unveiled a currency swap agreement of US $1.5 billion to help stabilise the Sri Lankan rupee and to develop Trincomalee as a regional petroleum hub with the cooperation of Lanka IOC (Indian Oil Corp’s subsidiary in Sri Lanka) and Ceylon Petroleum Corporation. Both countries also signed four pacts regarding visa exemption for official passport holders, youth exchanges, customs agreement (to address trade concerns and reduce non-tariff barriers) and the construction of the Rabindranath Tagore auditorium at the Ruhuna University with India’s aid. Amid the backdrop of the unfolding transition in Afghanistan, India sustained its engaged with Afghanistan and promoted a narrative of friendship in the strife-torn country. The visit of Afghan President Ashraf Ghani to India in April 2015 saw India reiterating its commitment to the reconstruction of Afghanistan. With the economic flowering of Afghanistan in mind, the two sides focused on working towards a more liberalized business visa regime. Afghanistan welcomed India's decision to extend the 1000 scholarships per year scheme by another 5 years as part of capacity building initiatives. India continues its assistance to the construction of the India-Afghanistan Friendship (Salma) Dam in Herat, expected to be completed in the first half of the coming year. The Parliament Building in Kabul constructed with Indian assistance has already been completed as well as on the Doshi and Charikar power stations. India’s all-weather friendship with Bhutan, which was galvanized after PM Modi’s visit to the country last year, continued on an upward curve. The visit of Bhutan’s Prime Minister Tshering Tobgay to India in January focused on optimizing cooperation in the field of hydropower – the centerpiece of economic cooperation between the two countries. The two sides expressed satisfaction over the progress of the three ongoing HEPs totaling 2940 MW under the inter-governmental model. They reiterated their commitment to the 10,000 MW initiative and in this context, to the early implementation of the four JV-model projects, totaling 2120 MW. When Nepal was hit by a massive earthquake on April 25, India was the first to respond to the calamity and the humanitarian tragedy that followed by launching its largest disaster response abroad, Operation Maitri. During EAM’s visit to Kathmandu in June, India pledged $1 billion grant for the reconstruction of the quake-hit Nepal. However, the political situation within Nepal offered challenges in the wake of the promulgation of a new constitution that did not take into account the concerns of all sections of the populations. India continues to push for an early resolution of the internal crisis by urging dialogue amongst all sections of society and a consensus driven political solution. India also engaged with the Maldives leadership despite political volatility in the island country. This was reflected in the meeting between the foreign ministers of India and the Maldives on the sidelines of the UN summit in New York in September. External Affairs Minister Sushma Swaraj followed it up with a visit to the island nation from October 10-11 to reinvigorate ties. India has consistently said that it wants better relations with Pakistan, but this can be only possible in an atmosphere free of terror and violence. Improving relations remained a major challenge in the backdrop of terror attacks but India made a bold beginning with a meeting between PM Modi and Pakistan Prime Minister Nawaz Sharif on the sidelines of the BRICS summit in Ufa, Russia. The meeting ended with a shared position that India and Pakistan have a collective responsibility to ensure peace and promote development. The two sides unveiled a five-point agenda to address concerns on terrorism and to promote people-to-people contact. Despite a number of hurdles including on account of terror attacks in the aftermath of Ufa, and Pakistan calling off the initial round of NSA level talks, a significant breakthrough was achieved in December with the NSAs meeting in Bangkok, followed by the EAM’s visit to Islamabad for the Heart of Asia Conference. On its sidelines, EAM called on PM Nawaz Sharif and met with her counterpart, Sartaj Aziz following which they issued a joint statement condemning terrorism, noting that NSAs would continue discussions on all aspects related to it and Pakistan would expedite the trial in the Mumbai attacks case. Accordingly, both sides agreed to initiate a comprehensive bilateral dialogue, the modalities of which would be worked out by the Foreign Secretaries. With Myanmar on the cusp of a historic democratic transition, India welcomed the elections and the PM congratulated Aung San Suu Kyi for her victory in Parliament. Bilateral relations remained on the upward trajectory with the First India-Myanmar Joint Consultative Commission (JCC) Meeting held in New Delhi on July 16, 2015, steps to further enhance the existing air connectivity, extending a US$ 500 million Line of Credit to the Government of Myanmar for development priorities, and a commitment to enhance the regional and sub-regional cooperation under the BCIM-EC and the BIMSTEC framework. India also played an instrumental role in providing disaster relief support to Myanmar in response to widespread floods and landslides caused by Cyclone Komen. India's 'Act East Policy,' enunciated with great vigour and foresight by the new leadership, acquired a new force in 2015 and manifested itself in the deepening of economic and strategic partnership with ASEAN countries and the extended East Asia region. India’s diplomatic efforts focused on leveraging synergies with this economically vibrant region and linking up these countries with India’s development agenda, pivoted around interlinked programmes of Make in India, Digital India, Smart Cities, Start-up India, M-Governance and Skill India. The year also saw a marked upgrade of India’s security cooperation with the region, with the two sides mapping out concrete steps to intensify cooperation in combating terrorism, piracy and traditional and non-traditional security threats. These key drivers of Act East policy were reflected in PM Modi’s participation in India-ASEAN and EAS summits in Kuala Lumpur in November and in his bilateral visits to Malaysia, Singapore and South Korea. Singapore President’s visit to India, Vice-President Hamid Ansari’s trip to Laos, Cambodia and Indonesia, Myanmar’s foreign minister’s visit to India and visits of EAM Sushma Swaraj to Indonesia and Thailand telescoped multiple strands of intensified and reinvigorated engagement between India and the East Asia region across the spectrum. The 10th India-ASEAN summit culminated in the adoption of an ASEAN-India plan of action for the period 2016 to 2020, entitled“Partnership for Peace, Progress and Shared Prosperity.” Underscoring the centrality of ASEAN in India’s diplomatic outreach to the region, PM Modi pledged a Line of Credit of USD 1 billion at the 13th India-ASEAN summit in Kuala Lumpur to promote projects that support physical and digital connectivity to transform the corridors of connectivity into corridors of economic growth and prosperity. A Project Development Fund to develop manufacturing hubs in CLMV countries, an Innovation Platform to facilitate commercialization of low cost technologies, the enhancement of the ASEAN-India Science and Technology Development Fund from the current USD 1 million to USD 5 million were some of the key announcements. On the trade side, the India-ASEAN Investment Centre, which is set to become functional very soon, will enable the two sides to scale up bilateral trade to $100 billion. India has also called for spurring progress in negotiations for a balanced and ambitious Regional Comprehensive Economic Partnership Agreement that covers goods and services as well as investments. Enhanced security cooperation, the exhortation to delink terror from religion, and push to adopt the CCIT were important thrust areas. With maritime security becoming increasingly pivotal to secure global sea lanes of communication, India underlined its shared commitment with ASEAN towards freedom of navigation, over flight and unimpeded commerce, in accordance with accepted principles of international law, including the 1982 UN Convention on the Law of the Sea. In terms of bilateral interactions, PM Modi’s visit to South Korea in May, followed by bilateral trips to Malaysia and Singapore in November, reflected in a nutshell, the key emphasis of the country’s Act East policy. During PM Modi’s May visit, India and South Korea agreed to upgrade the bilateral relationship to a ‘Special Strategic Partnership’ as the two sides decided to establish annual summit meetings, in either country, or on the margins of multilateral events. They infused a new energy into their multi-faceted partnership by signing seven bilateral agreements in diverse areas. The decision to launch a diplomatic and security dialogue in 2+2 format, making Republic of Korea the second country with which India has such a dialogue, reflected the deepening strategic content of the relationship. South Korea is set to play a crucial role in India’s economic modernization, with its companies excited about supporting large infrastructure projects in India. Seoul signaled confidence in the India Story by unveiling $10 billion package to support India’s ambitious projects, including Make in India and smart cities. PM Modi’s bilateral visit to Malaysia (November 23) saw the two countries enhance their strategic partnership by signing three pacts, which encompassed diverse areas, including cooperation in cyber security, public administration and culture. Malaysia is set to play a more proactive role in India’s development journey with Malaysian companies offering to be a part of India's smart cities project and to help in infrastructure development of India. India’s ties with Singapore, a crucial plank of our Act East policy and the second largest source of FDI, experienced a distinct upward movement during Singapore President’s state visit to India in February to celebrate 50 years of the establishment of diplomatic ties and PM Modi’s November 23-24 visit to the city state. Prime Minister Modi was one of the few world leaders invited to visit Singapore in March 2015, to join the island nation in mourning the demise of its founding father Lee Kwan Yew. During his November visit, India and Singapore signed a joint declaration on a Strategic Partnership agreement and signed 10 bilateral agreements in the areas of defence, cyber security and civil aviation. The strategic partnership has identified five focal areas to strengthen economic cooperation which includes scaling up of trade and investment, speeding up air and maritime connectivity and coastal development, smart city development and urban rejuvenation, skills development and capacity building. The Vice President’s visit to Cambodia, Laos and Indonesia and EAM’s visit to Thailand and Indonesia also helped consolidate our partnership with key ASEAN partners. With Thailand, the signing of a revised treaty to avoid double taxation is set to upscale trade and investment and an exchange of Instruments of Ratification of Extradition Treaty will enhance security cooperation between the two countries. Cultural ties are set to get a boost with the signing of a MoU on Thailand joining the establishment of Nalanda University and a MoU on the establishment of an Ayurveda Chair in one of the Thai universities. Moving beyond our immediate neighbourhood, the new government energetically engaged with key major powers of the world, with the Prime Minister visiting all P5 countries and aspiring members of the UN Security Council, including Japan and Germany. The sustained and variegated engagement with established and emerging power centres opened new vistas for upgrading these crucial partnerships and sealed India’s stature as a rising global power which is central to sculpting an inclusive global order. The new government’s diplomatic calendar began with a trailblazing visit by US President Barack Obama to India as the chief guest at the country’s Republic Day celebrations, the first American president to be thus invited. Building upon PM Modi’s visit to the US last year, President Obama’s second trip to India saw India-US relations scale new milestones as the world’s oldest and largest democracies unveiled a transformative all-encompassing agenda in the form of the joint statement entitled “Sanjha Prayas, Sabka Vikas (Shared Effort, Progress for All), which establishes the US as a prime partner in India’s ongoing national resurgence. The breakthrough achieved in implementing the landmark civil nuclear deal was the most visible outcome of the ongoing transformation in India-US ties. The relations saw a marked upswing in diverse areas, spanning enhanced defence cooperation through pathfinder projects for joint production, green energy, development of smart cities and infrastructure. Underscoring their increasing congruence over a host of global and regional issues, India and the US articulated a joint strategic vision for the Asia-Pacific region and the Indian Ocean. Buoyed by increasing optimism about the India Story, the two countries have set a target of multiplying bilateral trade five times to US$ 500 billion. President Obama’s visit was followed by that of PM Modi to the US in September, making 2015 a unique year in the annals of India-US relations with two-way visits by the leaders of both countries. PM’s second visit to the US was singular in so far as this was the first prime ministerial visit from India to the US’ West coast in nearly 60 years, with PM Modi connecting with the corporate and digital elite of Silicon Valley in California. PM Modi’s meeting with President Obama in New York underlined the changed climate in India-US relations as the two leaders sought to upgrade cooperation across an entire spectrum of issues ranging from climate change and economic ties to counter-terrorism, cyber security and UN Security Council reform. Put together, the two visits minted an emerging template of India-US relations, which will be underpinned by Business, Technology, Innovation and Entrepreneurship (BITE), as “the defining partnership of the 21st century” looks set to cross new milestones in the days to come. PM’s visit was preceded by the launch of the first-ever India-US Strategic and Commercial Dialogue in Washington DC, which was attended by EAM Sushma Swaraj and Minister of State for Commerce and Industry, Nirmala Sitharaman. In our extended neighbourhood, India’s relations with China acquired a new stability and added economic and strategic content. Building upon the State Visit of President Xi to India in September last year, PM Modi undertook a three-city tour of China, which was unique in many ways. PM’s visit was preceded by that of EAM’s visit to Beijing in February that saw the launch of the ‘Visit India Year’ in China and extensive discussions with the Chinese leadership on a host of bilateral and regional issues. Blending diplomacy, culture, business and geopolitics, the May 14-16 visit forged a new narrative of “major powers” engagement and placed the burgeoning relations between India and China as central to the realisation of an emerging Asian century. In a rare gesture, Chinese President Xi Jinping welcomed Prime Minister Modi in Xi'an, the first time President Xi hosted a visiting foreign leader in his ancestral province. The renewed vitality in India-China relations was reflected in the signing of 24 agreements in diverse areas, ranging from infrastructure, smart cities and railways to culture, skill development, space and climate change. Intensifying diplomatic engagement across the spectrum, the two sides decided to hold regular summit meetings and agreed to open new consulates in Chengdu and Chennai. PM Modi’s emphasis on cooperative federalism in the arena of foreign policy was reflected in the launch of the first-of-its kind State/Provincial Leaders’ Forum that will facilitate greater interaction between states and provinces of the two countries. What set apart the summit-level interaction was the “candour” and “constructive” approach to all outstanding issues, including the decades-long boundary question. Building on China’s pledge of $20 billion investment in India for the next five years, which was unveiled during the Chinese president’s visit to India in September 2014, India and China signed business deals worth $22 billion even as the Chinese leadership assured to bridge the trade deficit by providing more market access to Indian IT and pharma companies. Positioning cultural diplomacy and people-to-people contact at the heart of the expanding India-China partnership, PM Modi announced e-visa facility for Chinese tourists. In cheering news for Indian pilgrims, the two sides signed an agreement that provides an additional route for the annual Mansarovar Yatra through Nathu La Pass in Sikkim, in addition to the existing Lipulekh Pass in Uttarakhand. The visit of the PM was followed up with Home Minister’s visit to China, and visits to India by the Chinese Vice President Li Yuanchao and General Fan Changlong, Vice Chairman of the Central Military Commission. Our relations with Japan were revitalised by Prime Minister Shinzo Abe’s landmark visit to India in December. The visit reflected the personal rapport PM Modi has forged with PM Abe during the former’s visit to Japan last year. Following wide ranging talks that covered a number of issues, the two sides reached 16 agreements including one on Cooperation in the Peaceful Uses of Nuclear Energy. Of particular significance was Japan’s partnership on India’s economic development through supporting a number of initiatives – the bullet train between Mumbai and Ahmedabad, the Make in India Fund, the ODA assistance for 13 different big projects, dedicated Japan Industrial Townships, the Chennai Bengaluru Industrial Corridor all of which add up to more than $35 billion which the two Prime Ministers had agreed to last year. Defence and security as well as maritime security also were also high priority items for discussion, with an agreement on transfer of defence technology and equipment and regular participation in Malabar. UNSC reform, India’s participation in export control regimes, and India’s membership of APEC were all discussed positively. Highlighting the civilizational ties between the two nations, and mirroring the PM’s visit to Kyoto last year the PMs visited the city of Varanasi to take forward the ties between the two cities. In a unique ceremony, both the PMs participated in the Ganga Aarti at the Dashashwamedh Ghat in Varanasi. The visit imparted a new resonance to the ‘Special Strategic and Global Partnership’ and envisaged India-Japan relations as critical to the evolving Asian Century. Our relations with Russia, a time-tested strategic partner, were bolstered by a slew of high-level visits, culminating in the annual summit between PM Modi and Russian President Vladimir Putin in December. PM Modi’s meeting with the Russian president on the sidelines of the BRICS summit in July outlined future areas of cooperation, with special focus on scaling up economic relations, civil nuclear energy partnership and enhanced participation of Russia in the Make in India project. President Pranab Mukherjee’s visit to Russia (May 7-11) to attend the V-day celebrations saw the signing of seven pacts to enhance educational and innovation cooperation between the two countries. This included setting up of a Network of Indian and Russian Universities and an agreement on encouraging young researchers in both countries to work on innovative research projects. The visit of EAM Sushma Swaraj to Russia (October 19-21) saw the two countries sign the protocol for the 21st session of India-Russia Inter-Governmental Commission on Trade, Economic, Scientific, Technological and Cultural Cooperation (IRIGC-TEC). The Indian government was proactive in stepping up engagement with major European powers. Prime Minister Modi conducted hugely successful visits to France and Germany in April 2015. In France, he focused on seeking French investment in infrastructure, sanitation, waste management, smart cities, Clean Ganga programme, and defence manufacturing. Major decisions were announced with respect to the acquisition of Rafale fighter aircraft by India, and cooperation between NPCIL and AREVA on the Jaitapur Civil Nuclear Plant. Twenty agreements were signed in diverse areas, ranging from civil nuclear energy, defence and space to smart cities, business, tourism and the promotion of cultural heritage. France’s support for Make in India was reflected in a pact on forging cooperation between Indian and French railways for semi-high speed rail link and station renovation and pledges by French defence majors to undertake co-development of high-value weaponry. In a boost for India’s green drive, French companies agreed to support India’s sustainable development with 2 billion Euros investment by French companies. In Germany, Prime Minister represented India as the Partner Country for the Hannover Messe Business Fair, the largest such exposition in the world, and made a robust pitch to seek German investment and expertise to support the ‘Make in India’programme, especially in areas like skill development, renewable energy and defence manufacturing. Several far-reaching collaborative projects in diverse areas were discussed, which were crystallised during German Chancellor Angela Merkel’s trip to India (October 4-6). The German leader’s visit saw a landmark joint announcement on setting up a Fast-Track System for clearing investments by German companies in India and a pact to promote cooperation in the field of manufacturing. India-UK relations moved into a high-growth phase during PM Modi’s maiden visit to the UK (November 12-14) and included many symbolic gestures by Britain that included iconic British monuments being bathed in the colours of the Indian flag, an overnight stay by PM Modi at British Prime Minister David Cameron’s official country retreat, lunch with the Queen of England and the first ever address by an Indian prime minister to the British parliament. The talks in London outlined substantive outcomes that included a bigger role for Britain in India’s plans of national renewal, including Make in India and Smart Cities, reinvigoration of economic ties, enhanced defence and security partnership, a separate joint statement on energy and climate change and a separate statement of intent on partnering in third countries. The signing of a civil nuclear cooperation pact, the decisions to hold PM-level biennial summits and a new Defence and International Security Partnership are set to bring tangible benefits to both countries in days to come. Britain’s support for CCIT and action against anti-India terrorist outfits operating from India’s neighbouring country was significant. Economic ties are set to climb new peaks with the sealing of private sector deals amounting to 9.2 billion pounds, including a £1.3 billion pound investment by Vodafone. The decision to issue rupee bonds to be listed at the London Stock Exchange for financing railway infrastructure, the clean energy package worth 3.2 billion pounds of commercial agreements and the visit by PM Modi to the Jaguar Land Rover (JLR) plant in Solihull were symbolic of the win-win economic partnership. India’s relations with West Asia, home to over 7 million-strong Indian diaspora and the source of over 70 per cent of the country’s oil imports, moved onto an upward trajectory in the last twelve months. In the first quarter of 2015, the visit of the Emir of Qatar March 24-25 enhanced diplomatic, economic and strategic cooperation between the two countries. The visit saw the signing of 4 MOUs and 2 agreements in diverse areas, including ICT, scientific and technical cooperation and media. The two sides signed an important agreement on the transfer of sentenced persons and decided to upscale security and counter-terrorism through regular dialogue, sharing of information, intelligence and assessments and training of personnel. PM Modi’s visit to the UAE (August 16-17) was a game-changer, which elevated the relationship to the level of a strategic partnership and opened new doors for expanding economic and security cooperation between the two countries. The visit was followed by that of UAE Foreign Minister Sheikh Abdullah bin Zayed Al Nahyan to India (September 3-4). The talks upscaled relations across key areas, including the forging of strategic energy partnership, and cooperation in space, nuclear energy, renewables and higher education. There was a major breakthrough in enhancing counter-terror and security cooperation, with the two countries launching a security dialogue and stepping up coordination in counter-terrorism operations, de-radicalization, intelligence sharing and capacity building. The UAE’s support for the adoption of India-backed Comprehensive Convention on International Terrorism in the United Nations and support for dismantling terrorism infrastructure and isolating state supporters of terrorism was especially significant. The visit of Iran’s Foreign Minister Javad Zarif in August focused on raising the economic relationship between India and Iran in the backdrop of the historic nuclear deal between Iran and the P5+1 countries. The talks have set the stage for transforming India-Iran relations and enhancing two-way trade and investment. The decision to move from the existing buyer seller relationship to a genuine energy partnership involving both upstream and downstream is a potential game-changer. Issues relating to the two ongoing projects related to Chahbahar and the International North South Transport Corridor (INSTC) and India’s participation in the Iranian railways sector were also discussed. President Pranab Mukherjee’s visit to Jordan, Palestine and Israel (October 10-15) signaled the Indian government’s strategic intent and commitment to simultaneously enhance relations with the Arab world as well as Israel, without allowing it to become a zero sum game. In Israel, the two sides developed a roadmap for expanding cooperation in solar energy, dairy development, water management, horticulture, animal husbandry and agriculture as well as cooperation between Indian Space Research Organization and Israeli Space Agency. India and Israel discussed new possibilities and synergies to diversify trade as well as mutual investments. Two inter-governmental agreements were signed and eight MoUs were exchanged between the educational institutions of India and Israel. In Jordan, 16 MoUs and agreements, including between academic institutions, were signed as the two sides explored opening up new synergies in diverse areas including counter terrorism, defence, IT, and energy. During his visit to Palestine, the President reiterated India’s principled support to the Palestinian cause, calling for a negotiated solution towards a united Palestine, existing peacefully with Israel as endorsed in the Quartet Roadmap and relevant UNSC Resolutions. Six MOUs and Agreements were signed, with India announcing an increase in ICCR scholarships from 10 to 25 per annum, and ITEC slots from 50 to 100. India also extended budgetary support amounting to US $5 million to the Palestinian authority.The India-Palestine Center for Excellence in ICT was inaugurated, and another was announced in Gaza. A IT park (Ramallah) and a Palestinian Institute of Diplomacy, at an estimated costs of US $12 million and US $4.5 million respectively, were also announced. It was the year of Africa for India’s diplomacy as New Delhi hosted the third India-Africa Forum Summit (October 26-29) by inviting all 54 countries. The summit, which was attended by 41 heads of state/government and representatives of other countries marked the biggest ever gathering of African leaders and unveiled a “dynamic and transformative agenda” of mutual resurgence by dovetailing the India growth story with Africa’s vision of its own resurgence, as reflected in Agenda 2063. The IAFS-III also saw Prime Minister Modi engaging in bilateral meetings with all leaders of African countries who had come for the summit. The summit was preceded by important initiatives focused on building up a knowledge bridge and bolstering people-to-people contact, which was reflected by the Editor’s Forum and Academics’ Forum. Development cooperation in Africa is set to scale new heights as India announced Lines of Credit worth USD 10 billion in concessional credit to Africa, apart from an additional grant assistance of USD 600 million, which included an India-Africa Development Fund of $100 million and an India-Africa Health Fund of $10 million. Significantly, the total financial pledge for projects to be executed over the next 5 years (till 2020) is more than double of the LOCs and grants committed by India over the last two summits. The $100 million development fund will be used for setting up training institutes and other showpiece projects of India-Africa development cooperation which will be finalized in the plan of action to be launched with the AU next year. With a view to harnessing the youth power of the continent, India more than doubled scholarships for Africans to 50,000 over the next five years. India also decided to expand the Pan Africa E-Network, a defining digital connectivity project that currently encompasses 48 African countries for tele-medicine and tele-education. The IAFS-III mapped out a blueprint for joint development of the blue economy and forged a comprehensive framework for proactive collaboration on a range of cross-cutting issues, including terrorism, piracy, cyber security, climate change, sustainable development, WTO negotiations and UNSC reform. Looking ahead, the summit underlined the convergence of India and Africa on fast-tracking the expansion of the UNSC, with both sides supporting permanent seats for India and Africa in a reformed UNSC. We also agreed to set up a joint monitoring mechanism to track implementation of agreed projects to ensure that there is no gap between ideas and action. The summit was the high moment in India-Africa relations, but it was preceded by important visits by EAM to South Africa and Egypt and incoming visits of the presidents of Tanzania and Mozambique. The visit of EAM to South Africa (May 18-21) saw the two sides fleshing out a framework of a five year strategic programme of cooperation as they identified priority areas of cooperation: defence, deep-mining, science and technology, agriculture & food processing and insurance. The two sides also decided to launch an India-South Africa Preferential Trade Agreement (PTA). EAM’s visit to Egypt (August 23-25) resulted in the two sides scaling up security and counter-terror cooperation and the signing of pacts on enhancing tourism and scientific and technical cooperation. During the visit of Tanzania President to India (June 17-21), the outcomes included setting up of a Joint Working Group on bolstering counter-terror cooperation, India’s assistance to development of gas sector in Tanzania and the signing of an agreement on hydrography. The visit of President of Mozambique to India (August 4-8) reflected in a miniature key elements of India’s Africa policy, with its focus on trade, training, technology and capacity building. Taking off from PM’s visit to Fiji to attend the first meeting of the Forum for India-Pacific Islands Cooperation (FIPIC), India hosted the second edition of the summit to reach out to 14 island states which culminated in a host of initiatives in areas of capacity building, developmental cooperation, renewable energy and blue economy. Firming up a template for accelerating this crucial partnership across the spectrum, FIPIC-II saw India offering to set up an information technology laboratory in each Pacific island country that will enable people in the region to get access to tele-medicine and tele-education. In areas of training and capacity building, India increased the slots under the Indian Technical and Economic Cooperation (ITEC) training programme, with Fiji getting 110 slots, and the number of slots for the other 13 countries to be doubled from 119 to 238. Other important initiatives by India included partnering in the development of micro, small and medium enterprises in the region, the setting up of an Institute for Sustainable Coastal and Ocean Research with a network of marine biology research stations and offer of assistance in establishing a‘Space Technology Applications Centre’ in any one of the Pacific island countries for the entire region. The summit with large ocean states, as PM Modi called it, saw substantive discussions on closer cooperation in UN reform and combating climate change. India’s Connect Central Asia policy moved into high gear in 2015, with the unique journey by PM Modi to all five Central Asian states (July 6-13), including Uzbekistan, Kazakhstan Turkmenistan, Kyrgyzstan and Tajikistan. Together with our participation in the SCO summit in Russia it sent a strong message on the importance of building on India’s civilisational links with this resource-rich, strategically located region. The path to India’s inclusion in the SCO has nearly been completed and the Ufa gathering has imparted greater coherence and traction to our Connect Central Asia policy. The outcomes were reflected in scaling up economic ties, forging energy partnership, deepening security cooperation and focus on cultural diplomacy to qualitatively transform relations with the region. EAM’s trips to Turkmenistan in April and Tajikistan in May set the stage for PM Modi’s transformational visit to the region in July. India and Uzbekistan signed three pacts in areas of tourism, culture and cooperation between foreign offices of the two countries. The decision to fast-track implementation of the contract for the supply of 2,000 metric tonnes uranium to India, enhancing counter-terror cooperation and consultations on shaping a stable and inclusive Afghanistan were among key themes of PM Modi’s discussions in Uzbekistan. In Kazakhstan, PM Modi witnessed the drilling of the first oil well in the Satpayev block, in which ONGC has 25 per cent stake. The two countries also signed a pact for renewal of long term supply of natural uranium to India and agreed to explore the transportation of oil and gas through pipeline or LNG from Kazakhstan to India. The “Tej Kadam,” joint statement outlines the template for developing India-Kazakhstan relations as the two sides signed five agreements, including a pact on enhancing defence and military-technical cooperation. Another major development, which is going to shape the energy landscape of the region, is the decision to operationalise the Turkmenistan-Afghanistan-Pakistan-India (TAPI) gas pipeline, the groundbreaking ceremony of which was witnessed by the Vice President during his visit in December. India and Turkmenistan firmed up a template for long-term energy partnership, with ONGC Videsh Ltd opening its office in Turkmenistan and the two countries signing a MoU between the State Concern “Turkmenhimiya” and Indian PSU Rashtriya Chemicals and Fertilizers Limited, to provide a framework for long-term sourcing of urea from Turkmenistan. The signing of the Defence Cooperation Agreement is expected to boost counter-terror cooperation. With Kyrgyzstan also, the key takeaway was the signing of the defence cooperation agreement, which envisages intensifying joint military exercises, exchange of military instructors and observers, military education and training. During PM Modi’s visit to Tajikistan, India’s core strengths in training and capacity building were lauded as India offered to set up computer labs in 37 schools in Tajikistan. The two sides also firmed up a 7-step framework for enhancing cooperation in agriculture. Guyana’s President Donald R. Ramotar, was chief guest at Pravasi Bhartiya Divas held in Gandhinagar in Gujarat (January 7 -12) where he was conferred the Pravasi Bharatiya Samman Award. Enhancing development cooperation, India announced concessional credit of $10 million and grant assistance of $8 million. Suriname’s Foreign Minister visited India (January 11-16), and the visit saw the two sides discussing initiatives to upscale economic and developmental cooperation. Minister of State for External Affairs, Gen. V.K Singh attended the India-SICA Ministerial Meeting in Guatamela (May 28-29). In a major initiative, India offered a Line of Credit of US $240 million to SICA countries (US $30 million to each SICA country), in addition to enhancing ITEC slots. During Uruguay’s Foreign Affairs Minister’s India visit (October 6-11) the two sides decided to give a fresh impetus to the Preferential Trade Agreement between India and MERCOSUR to boost trade and services. India plans set up a Centre for Excellence and Information Technologies in Uruguay. Brazil’s Foreign Minister’s visit (November 17-20) also gave fresh impetus to the important relationship. FM-EAM talks bolstered strategic coordination between the two countries on a host of issues, including UNSC reform, terrorism and cyber security. Free Trade Agreement (FTA) between MERCOSUL and India, and talks on resuming the trilateral talks amongst MERCOSUL, India and SACU were explored. This agreement could visibly transform India’s economic relations with not just Brazil but the entire region. Discussions on initiating civil nuclear cooperation were also significant. PM Modi met with the Presidents of Mexico and St. Lucia on the sidelines of the UNGA in September. Based on discussions, India and Mexico (an influential player in CELAC), can be expected to expand their economic and energy partnership. Discussions on UNSC reform and India’s membership in global export regimes, including NSG, were significant. St. Lucia thanked PM for giving importance to small countries and their voices. The 70th session of the UNGA was special in many ways as we joined in the 70th anniversary celebrations of the world body and robustly backed the adoption of the Sustainable Development Goals (SDGs) at the SDG summit. Supporting the adoption of Agenda 2030, PM Modi outlined steps taken by India in reducing poverty and proactively joining the world in promoting green development. Fast-tracking reform and expansion of the UNSC was the cross-cutting theme of PM Modi’s address at different events related to the UNGA, including the summit of leaders of G4 countries. Sustainable development, promotion of renewable energy and climate justice were other refrains in PM’s interventions. In a separate address to the UN Peacekeeping Summit on September 28 in New York, PM Modi pitched for a greater role for troop-contributing countries in the decision-making process related to peacekeeping operations and unveiled new contributions by India. These include, among other things, additional battalions of up to 850 troops in existing or new operations, additional three Police units with higher representation of female peacekeepers, and additional training for peacekeepers at facilities in India and in the field. The BRICS summit in July saw the operationalisation of two key India-backed initiatives, including the New Development Bank (NDB) and $100 billion Contingent Reserve Agreement (CRA), which reinforced the collective BRICS commitment to reconfiguring the global financial architecture. The NDB, with an initial start-up capital of $50 billion, and a veteran Indian banker as its first President, is expected to approve its inaugural investment project in 2016, and is a game-changer in bolstering infrastructure development in the global South. PM Modi made a robust pitch for fast-tracking IMF quota reforms to enable a larger say for developing and emerging economies in top global financial institutions of governance, imparting a push to the ongoing project of recasting the global financial system. We also backed the intra-BRICS strategic economic partnership which will upscale trade and investment among emerging economies, and positioned them as the future hub of economic growth. India made valuable contributions by making a compelling case for enhancing civil society interaction among BRICS countries as PM Modi unveiled 10 proposals for bolstering the BRICS, which includes, among others, the holding of an annual BRICS trade fair, the setting up of a Railway Research Centre, cooperation among supreme audit institutions, a BRICS digital initiative, the BRICS Agricultural Research Centre, a BRICS Sports Council, and an annual BRICS Sports Meet. PM Modi also forcefully advocated urgent reform and expansion of the UNSC, with a permanent seat for India in the reformed body. India’s elevation from an observer to a full-member at the SCO summit in Ufa on July 10 was a milestone that will provide more ballast to its Connect Central Asia policy and promote an integrated and connected Eurasia to become one the most dynamic regions in the world. 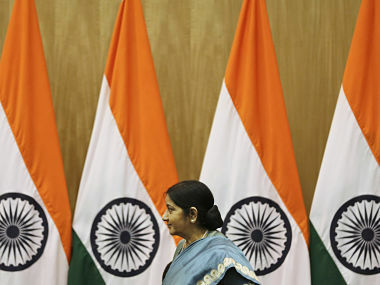 India offered support for buttressing physical and digital connectivity and backed the International North South Transport Corridor. India also focused on enhancing security cooperation to combat terrorism and the SCO’s key role in stabilisation process in Afghanistan. The Prime Minister’s participation in the G20 summit in Turkey was marked by important contributions to shape the G20 agenda for restoring global economic growth and creating an inclusive global financial architecture. India backed the G20’s outcome on developing ambitious country-specific investment strategies, and its proposals for alternative financing structures, such as asset-based financing, and simple and transparent securitization. The PM underlined that his government has zero tolerance for both corruption and black money. In the aftermath of the Paris terror attacks, PM also laid out a 10 point plan to combat terrorism, underscoring the need to deepen cooperation against terrorism financing, including through targeted financial sanctions and more effective counter-terrorism financing tools, while calling for countries to join hands to isolate states that support and sponsor terrorism. At COP 21 in Paris, India played a key role in the final Agreement ensuring that its own concerns, as well as those of other developing countries, were suitably addressed. The Agreement recognized the principle of Common but Differentiated Responsibilities, expanding the term to include ‘in the light of different national circumstances.’ It has also specific provisions on climate finance and mitigation actions that indicate developed country obligations, although much work remains to be done. Speaking at the Plenary, PM expounded on India’s ambitious INDCs which include reducing emissions intensity per unit GDP by 33-35% per cent of 2005 levels by 2030, and ensuring that 40 % of our installed capacity for electricity would be from non- fossil fuels. PM underlined the needs of the developing world, of lifting billions of people into prosperity, which would require advanced countries leaving enough carbon space – the need for climate justice. The PM also launched the International Solar Alliance, co-chaired by India and France, to promote greater use of solar energy. All countries lying between the Tropics of Cancer and Capricorn are eligible to be members of the ISA. India would be hosting the initiative in the National Institute of Solar Energy and announced US $30 million for the secretariat infrastructure. The 25-million strong NRI and PIO populations abroad have become a brain trust and bridge-builders between the mother country and their adopted homelands. With their potential role in the unfolding of a national renaissance, diaspora outreach has become the signature diplomatic style of PM Modi and the Indian government’s unstinting commitment to their welfare. The diplomatic calendar in 2015 fittingly began with the holding of the 13th Pravasi Bhartiya Diwas in Gandhinagar, which was attended by over 4,000 delegates. This year, it was a special moment as it coincided with the 100th anniversary of the return of Mahatma Gandhi, the exemplar NRI, from South Africa to India. The celebration of the Indian community abroad that was staged with pomp and panache last year at MSG in New York acquired more colour and vibrancy this year, with PM Modi addressing rapturous crowds across hemispheres, including Paris, Berlin, Toronto, London, San Francisco, Dubai, Kuala Lumpur and Singapore. In all these places, PM Modi feted their successes in their adopted countries and encouraged them to contribute to ongoing programmes for national resurgence, including ‘Swachh Bharat’, ‘Make in India’, Skill India and ‘Clean Ganga’. To make it easier for diaspora to visit India and feel more connected, PM announced the merging of NRI/ OCI status, lifelong visas to OCIs, and doing away with police registration upon their visits to India. The government eased diaspora investment in India for funding flagship schemes of the government, the Swachh Bharat Kosh and Clean Ganga Fund. The pilot launch in 5 GCC countries of MADAD - an online grievance monitoring system for the diaspora which allows for time bound redressal, tracking monitoring and feedback on issues – also elicited a huge response. To facilitate engagement with the diaspora, and to assist business, educational and tourist travelers, the Government has taken a slew of initiatives to simplify and improve passport, visa and consular services. The passport services became the embodiment of service excellence, having achieved the unique distinction of becoming the only Mission Mode Project to receive three ISO certifications (9001:2008, 20000: 2011, 27001: 2013) together. The facts tell their own story. A strategic reserve of 1 crore passport booklets has been created to ensure that shortage of booklets never becomes a constraint on timely issue of passports. More than 10,00,000 passport-related applications were processed and over 1,00,000 Common Service Centres across the country co-opted for filing passport applications online. The average passport issuance time (excluding police verification process) has been brought down to under 21 days for 96% of the applications. The government expedited operationalisation of new Passport Seva Kendras (PSK) in the north-eastern states of India— Meghalaya, Manipur, Mizoram and Sikkim besides the one already functional in Assam. PSKs in the remaining north-eastern states viz. Arunachal Pradesh, Nagaland and Tripura will be set up in the coming months. EAM issued special instructions to all Indian Missions abroad to scale up quality and speed in delivering consular, passport and visa services. Several visa outsourcing contracts were finalised to better utilise the limited manpower resources of Missions. Finally, one of the most pressing concerns of the Government in the last twelve months has been to ensure the safety and security of Indians entangled in conflict situations abroad. India evacuated not just its own citizens from conflict situations in Syria and Libya but also those of many other neighbouring and other countries. Operation Rahat in Yemen was a major operation, involving chartered flights and ships, with the Indian Navy and Air Force pitching in to rescue 4741 Indians and 1947 foreigners stranded in the war zone. Underlining the government’s undying commitment to aiding Indians abroad in distress, all these operations entailed wide-ranging coordination between different civilian and military agencies, under the direct leadership of EAM and Minister of State in MEA. As we come to the close of 2015, we take special pride in India’s ascending diplomatic graph, with the world looking at India as a source of hope and renewal to address a host of cross-cutting challenges. Our relations with countries of the neighbourhood and with major power centres have been consolidated and we have been successfully able to remap our ties with the emerging regions of the world, including Africa, Central Asia and West Asia. With such robust multi-layered achievements in 2015 and India’s global role becoming more evident in every multilateral fora, India’s foreign policy and diplomacy are set to cross new milestones and open new vistas for the nation.